One could be forgiven if recognition of the names in the title were to elude oneself. You might have had a better chance if you were a young child, for both #CarolineCrossland and #AsunBalzola are children’s book illustrators. I came across a piece by each artist this week and added them to my collection. Caroline Crossland has illustrated many children’s books as well as creating her own individual works. 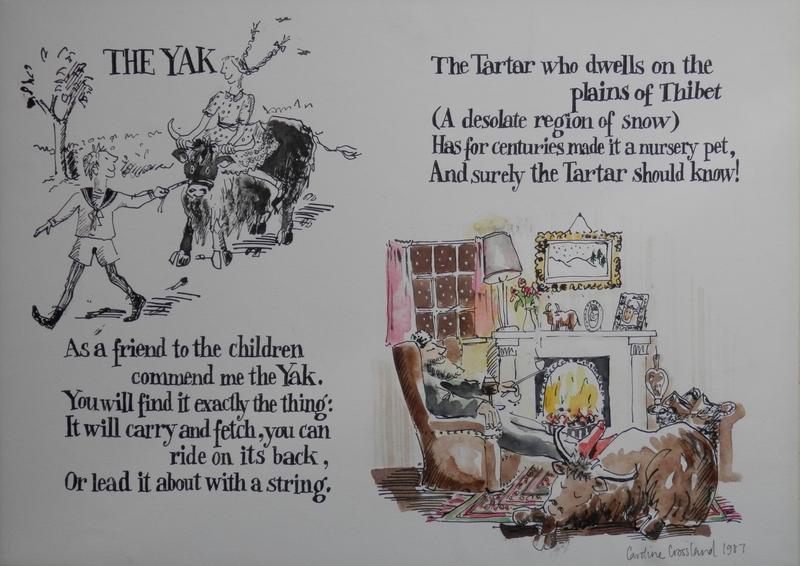 We see two verses of the ‘The Yak’, a poem by #HilaireBelloc (1870-1953). I have not found that Caroline illustrated the complete ‘The Bad Child’s Book of Beasts’ by Belloc. There is a wit and light-heartedness to her illustrations. Combined with the warm tones she uses , one is drawn into the image not wanting to miss any part of it. Her illustration style uses colour blotches and thick lines. The image we see is of ‘Bran’. It was published by Collins in 1992. 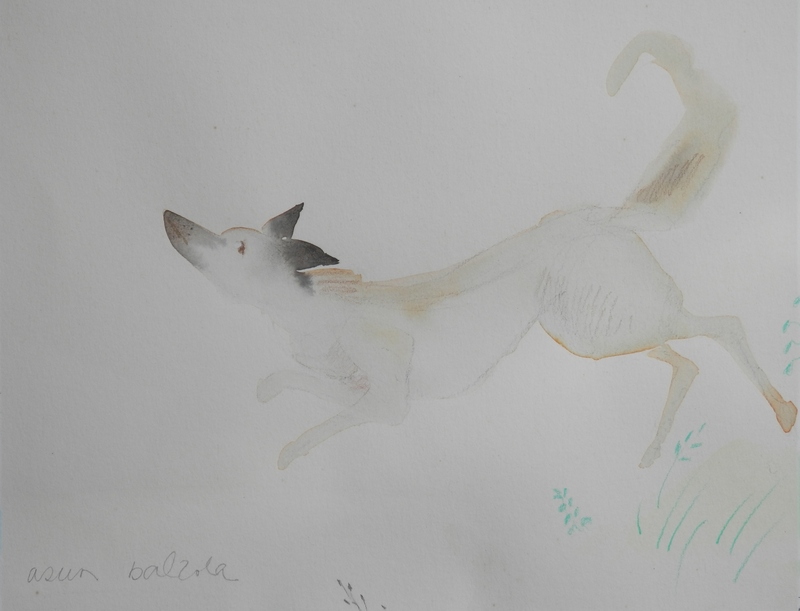 This watercolour sketch is used on page 14 of the book. This entry was posted in Lino/woodcuts, Watercolour paintings and tagged Asun Balzola, Caroline Crossland, children's book, dog, illustration, poem, yak. Bookmark the permalink.